You are here: Home / Our Blog / Uncategorized / Ask Dr. Childers: What can Invisalign® do for my oral health? Ask Dr. Childers: What can Invisalign® do for my oral health? If you have any questions about Invisalign, just ask Dr. Childers the next time you’re in for an appointment. Or, you may post your question on our Facebook page! 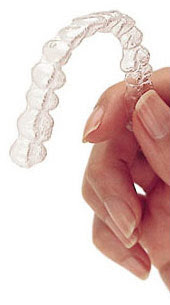 You can also read this article for more information on Invisalign and your oral health. https://childersbraces.com/wp-content/uploads/2016/12/invisalign.jpg 752 1024 DrCAdmin https://childersbraces.com/wp-content/uploads/2016/10/logo-childers-orthodontics.png DrCAdmin2011-04-28 18:19:002019-03-08 07:34:54Ask Dr. Childers: What can Invisalign® do for my oral health?